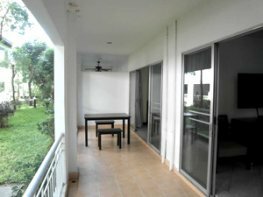 This is a nicely decorated and furnished 62 square meters studio condo in Baan Suan Lalana in Jomtien on the 5th floor with nice views from 2 large balconies. 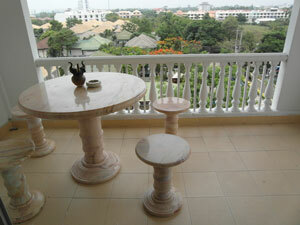 Enjoy your breakfast or quiet evenings on the large corner balconies. 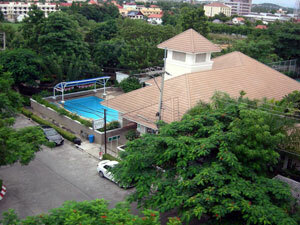 Baan Suan Lalana is a lovely parklike setting. 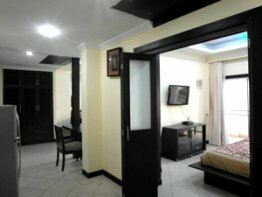 Very nicely decorated Penthouse studio condo. 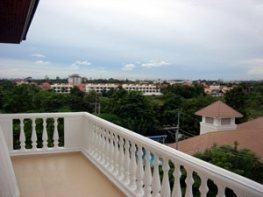 Contact us if you would like to view or book this nice corner Penthouse condo in Baan Suan Lalana. This condo studio features a kitchen fully fitted including plates, bowls, cups, glasses, cutlery, pots and pans - all you need is your cloths and tooth brush. Nice views from all sides of the balconies. 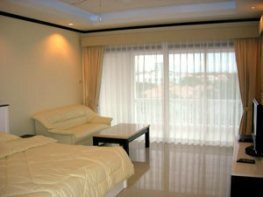 This Penthouse studio condo is located in building TA on the 5th floor. Studio: feature ceiling with concealed lighting. 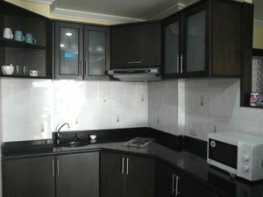 kitchen fully fitted out, air con, ceiling fan, flat screen LCD and DVD, fully furnished. 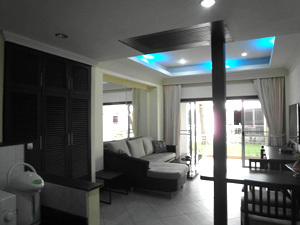 Rent: 20,000 - 30,000 Baht. Depending on season and length of stay. 3 large swimming pools, 2 tennis courts. 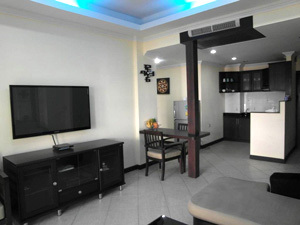 2 saunas, fitness center, mini mart, laundry service, 24 hour security. 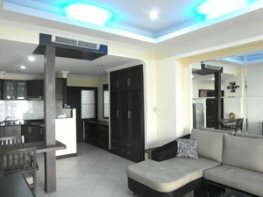 View more available condos in Baan Suan Lalana Development, see pictures of the Amenities, a Google location map and contact us from this page.